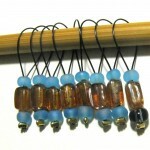 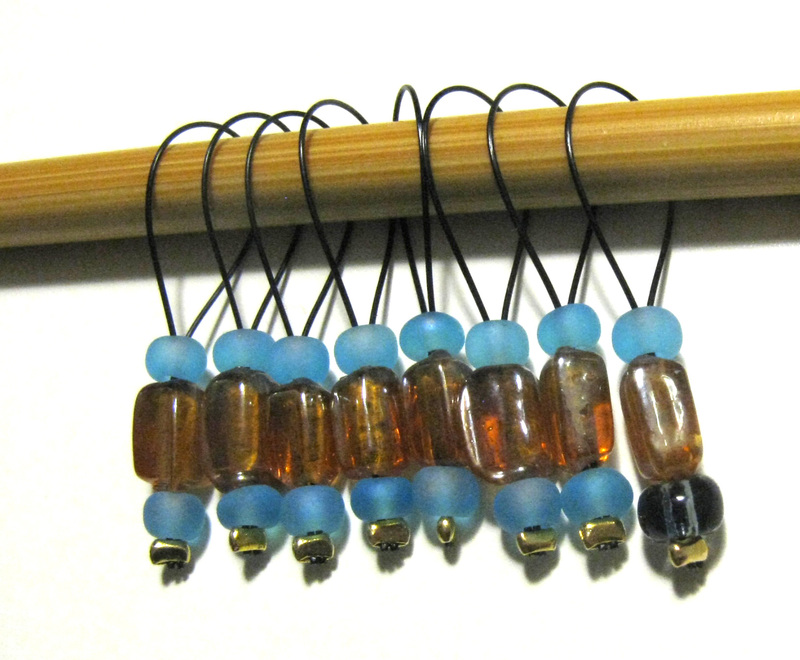 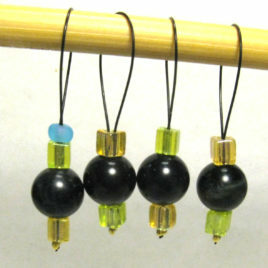 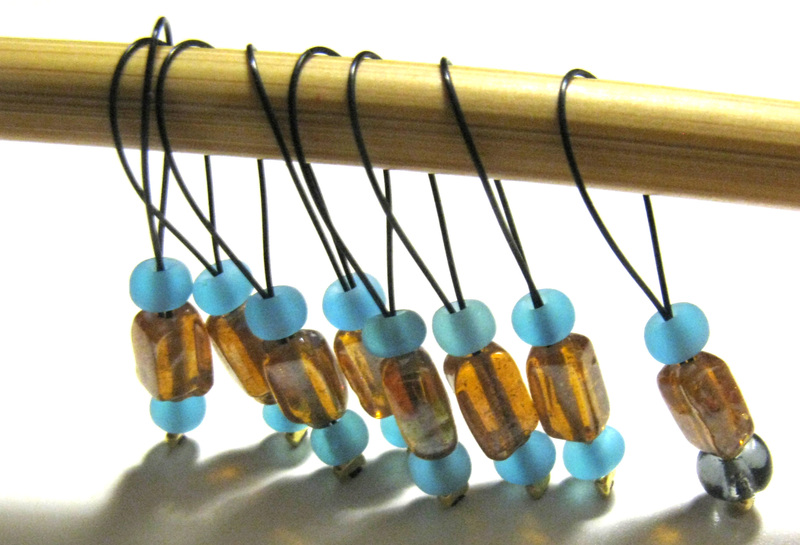 These stitch markers will dress up your knitting with the colors of a sunny day. 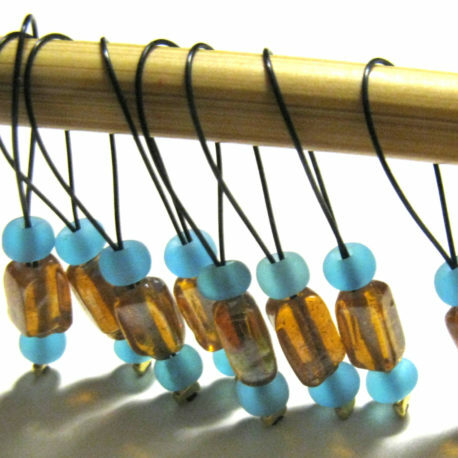 The large beads are slightly irregular translucent golden rectangles, with accent beads in frosted sky-blue. 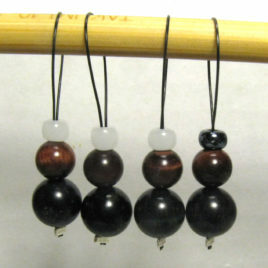 The end marker includes one bead in a clear grey. 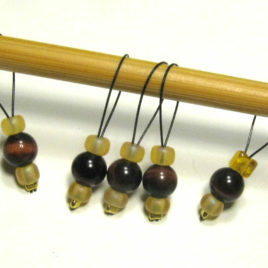 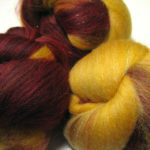 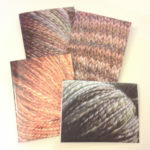 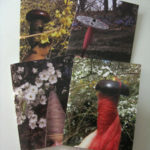 This listing is for a set of 8 stitch markers. 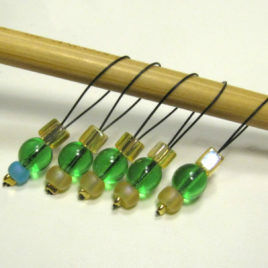 The 6-mm (US 10) needle is shown for scale only.